Jennifer leads Cole to a hotel in 2015, and she is insistent that he needs to be in room 607, instead of room 210. The voice Jennifer hears is Olivia's and Olivia keeps talking to Jennifer about her purpose. Jennifer even sees Olivia when she looks in the mirror. This makes me wonder if Jennifer is really mentally ill? We know that she was working without a problem as a scientist until the monkeys broke into her lab and killed everyone. Are Olivia or the 12 Monkeys somehow effecting Jennifer's sanity? This is a valid question to ask since the hospital where Jennifer was placed was absolutely shifty. Cassandra may be sure that Cole doesn't have what it takes anymore, but Jones seems to be happy to have him back on the team. Cole explains that he went to the past to kill a man to stop the virus and when that didn't work, he killed a few more people. Cole points out that the only time he made a difference is when he helped someone live who was destined to die. Cole now believes the way forward is to display some kindness and empathy. Cassie however still very much wants to undertake the ride or die. 12 Monkeys has really hit hard on the idea that Cassie and Cole have traded places. Cole blames himself for the way that Cassie is now while she says that everyone changes as the result of the life they lead. Perhaps each small change that they make delays the virus but can it stop the virus altogether? Last week, the messenger told Jones that if something is meant to happen it cannot be stopped. Despite all of the time travel and the action scenes, brought down to the most basic level, 12 Monkeys is essentially about free will versus destiny. Do the choices we make influence the world we live in, or is everything preordained? If it is the later, then no matter what Cassie or Cole do, they cannot significantly change anything. Perhaps more interesting than free will versus destiny, the fractured timeline interests me the most. Just by moving ahead the virus a few years, more people survived and thus, Jones now has a husband, though not her daughter. It's some compensation for everything that she has lost. What role will these people who should have died come to play in this story? How will they shape the characters we have come to know? 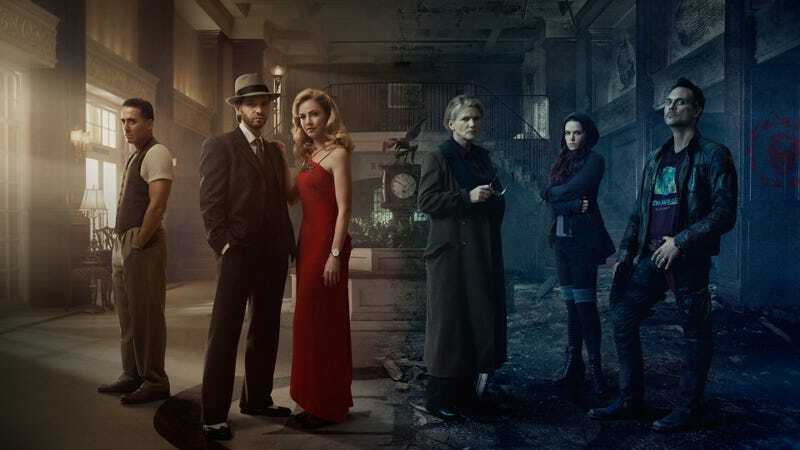 12 Monkeys is at its best when it's focused on its characters, rather than the time travel and the virus.